As the Finals issue features a great article on study-friendly instrumental tracks, we got inspired to explore the relationship of music and focus a bit further. It’s no surprise that while studying, many students prefer white noise or music to the jarring sound of chairs scraping throughout Moffit. But are there particular types of music that are more conducive to learning or focus? Some research suggests there are. Studies in music and cognition receiving most media attention are those focused on what many dub the Mozart effect. The term usually refers to several similar theories, all centered on the idea that classical music may aid in temporary or long-term learning enhancement. In one experiment, students exposed to classical music showed increased — but temporary — spatial-temporal reasoning ability. Similarly, gamma waves can describe a specific pattern of neural oscillations — brain waves — at a frequency of around 50 Hz. 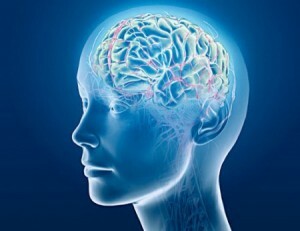 Researchers such as György Buzsaki have published evidence suggesting that the nature of the frequency of these waves may aid conscious attention through facilitating activity within the thalamus, a brain structure partially involved in alertness and consciousness. While the theory remains in need of further support, we still suggest trying out gamma-wave music therapy for yourself! We love Youtube tracks (1) Biaural Beats: Study, Focus, Concentrate and (2) High focus – Gamma brainwaves in particular, because they’re repetitive enough to discourage distraction. For those who might prefer classical music, we suggest the (3) Study Music Project, also on Youtube. Happy finals prep week! Image source: Karmalize under Creative Commons. 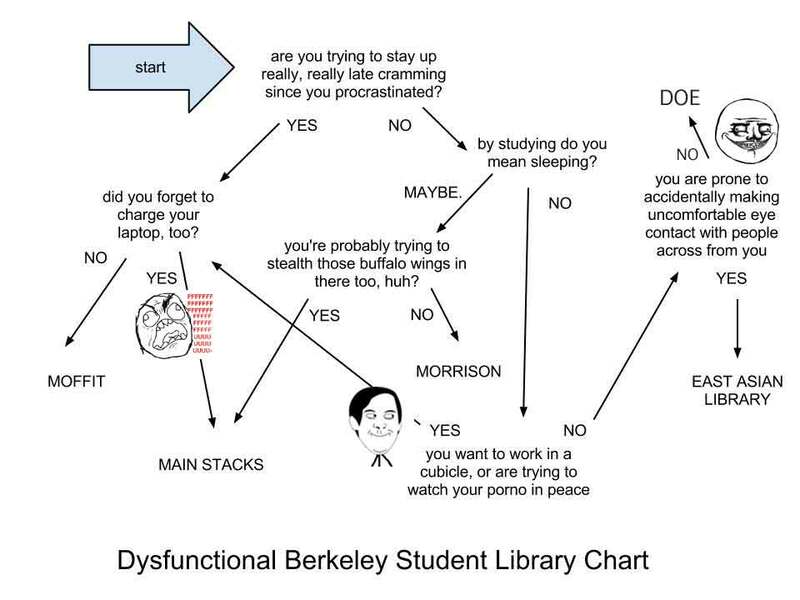 We’re back with another detailed infographic to illustrate a fascinating social trend that can be observed of many Berkeley undergraduate students, and is ultimately responsible for subpar library selection – stutentus dysfunctionus. This week’s productivity chart, organized from a compilation of various scientific data on library location amenities, aims to support study habits by streamlining study location options available to students. Why are you still reading this? 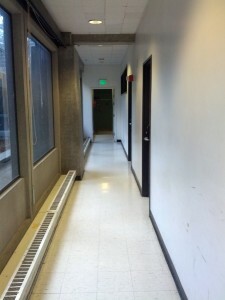 Crawling Berkeley: I just want to study in peace! Finding a place to study on this vast campus for a newly arrived freshman (or even for some that have already spent some time here) can be a daunting task. There are so many options, and today we’d like to give you some insight into just some of the places that you can sleep study all night long. 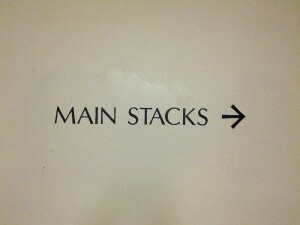 Main Stacks is that way. In hindsight, we probably should not have sent one of our cub writers to Main Stacks, because it is really easy to get lost down there if you don’t know what you’re doing. Main Stacks is a HUGE library. To give you a sense of its size, consider this: You can enter from Doe and exit from Moffitt. There are four floors total (though you can only study on the lower three) with 400 seats available for individual study. 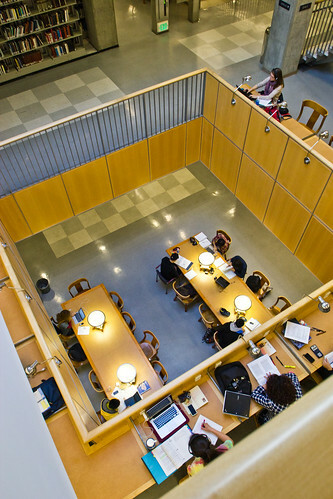 Main Stacks offers a large variety of study environments, which we’re going to break down for you. This has recently been dubbed the Hallway of Doom. Yes, we all know exam time is full of stress, and for a lot of us that can translate to a bad mood, procrastination, or less-than-ideal habits… but you don’t need to spread that crap around for the rest of us. Here are some ways of struggling through exam week while still saving face — for everyone’s sake! 1. Don’t ask people at the library to watch your stuff “for a second,” and then leave for 3 hours. No, really, our sphincter muscles are already those of a 90-year-old’s from drinking four cups of Peet’s this morning. We need to pee, so don’t blame us if we take advantage of that precious – but conveniently empty – Nalgene bottle you’ve left us to supervise. 2. Don’t take “study aids” and then proceed to make a huge racket in Main Stacks because you didn’t realize you would be yakked out of your mind. Last year in Main Stacks we sat next to a girl in a cubicle who had obviously taken a… choice pharmaceutical… and spent several hours throwing books all over the place, scribbling like a maniac, and shaking. Yikes. How will you spend your Deadweek? Ah, Deadweek … um, we mean Reading, Review and Recitation week, of course. 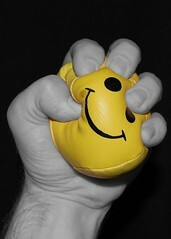 Now that classes have ended officially, a whole week lies ahead before the crushing doom of finals. We all spend it differently, attempting to study with variations of success. The Clog went out on Sproul to find out what you’ll be up to, from student organization socials to Buffy the Vampire Slayer to living in the library. Comment below with your plans, both virtuously optimistic and realistically self-indulgent. Best of luck in your studies (or lack thereof)! New findings by UC Berkeley researchers indicate that sleep is no longer pointless, as some of us may believe, especially during midterm season. Sleep does not waste precious study time, in fact, it helps us study better and retain more information. Sleep waves called “sleep spindles,” generated during sleep, work on our memory systems and learning functions. An experiment involving two groups of students, one with no sleep, and the other with a sufficient amount of sleep was conducted. These students attempted to learn the same information, yet those with more sleep in their system performed better. Not only do you have an excuse to sleep more, but you also have an excuse to study less! Now who said all- nighters take us to the path of success? Prove them wrong; go get some good shut eye, and ace that midterm! Since it’s Veteran’s Day, and that means a day off for all UCB students, we’re assuming you’re … well, we don’t mean to badger you but you and your conscience know that you should probably be studying. 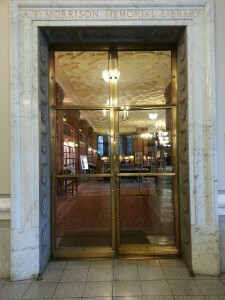 Since the Stacks are closed today, we suggest you go study in Doe. Why Doe specifically? 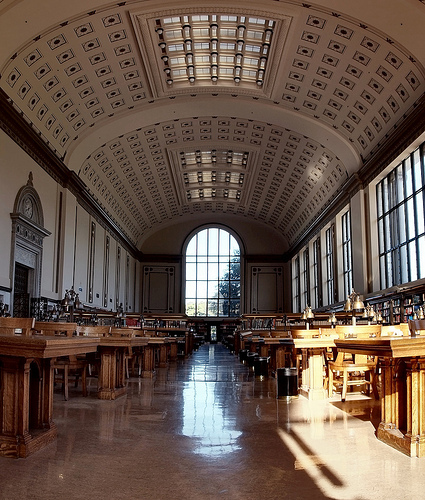 Well, we don’t appreciate the questioning, but since you asked, Doe happens to be one of the most beautiful college libraries in the nation. 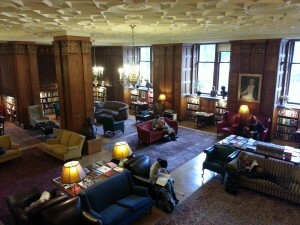 Yeah, go ahead and check out that pretty amazing slideshow of biblio beauty. And Berkeley is lucky number seven. Also, we feel petty in mentioning this, but Stanford didn’t crack the top ten. (And it feels good to say it.) Actually, we’re not even sure there’s a clear-cut numbering system, but that won’t quash our glee. 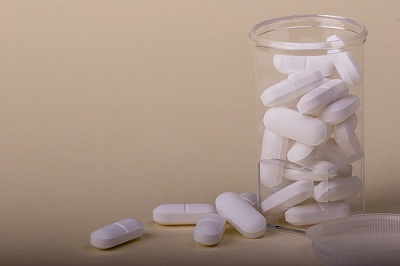 Study Drugs Effectively Inhibit Sleep, Social Normalcy – But What About Academic Integrity? In an unprecedented decision, Wesleyan University has labeled the illicit use of pharmaceutical “study-aids” like Ritalin and Adderall a violation of the school’s academic honor code. Essentially, this would make the use of these drugs by individuals without official prescriptions — allegedly 6.4 percent of college students — a form of cheating.